Illinois dog bite cases reward victims just as much as nearly any other field of personal injury law if not more. This might be due to the gruesome nature of the incident as well as the serious damage that results. You can expect to obtain compensation well above the medical and related financial costs of the attack. What do Illinois Dog Bite Victims Recover on Average? How do I Maximize my Illinois Dog Bite Award? Still Have Questions About Dog Bite Case Values? Illinois plaintiffs recover large sums of money for their dog bite injuries. Generally, they fetch around thirty or forty thousand dollars. This is higher on average than many other fields of personal injury litigation. The states where plaintiffs typically the most include Illinois, California, New York, Ohio, Texas, and Pennsylvania among others. Also, many of these averages across states are actually on the rise despite falling numbers in claims. This is due in part because of vulnerable victims (like children), dangerous circumstances (like bicycles), and other reasons. There are several things you can do to maximize the amount of your Illinois dog bite award. First, keeping track of things is important. You should carefully collect and itemize all of your receipts related to the costs of the dog attack including medical bills, lost wages, property damage, and other expenses. Second, monitoring your communications is critical. You should avoid speaking to the owners of the dog, their lawyers, their insurance carriers, or any other of their representatives. If you do speak to them without counsel, you can risk giving away parts of your case and reducing your potential recovery. Finally, seeking a lawyer early after the dog attack is vital. Lawyers can prepare the items that need to be completed in order to obtain compensation. They can also conduct all of the investigations, analysis, and communications that will build your case. While you must do several things to preserve your recovery for an Illinois dog bite incident, these three actions might be the most important. Speak with a qualified attorney to understand the total demands of a dog bite case. The victim in this case was an elderly woman. She lived on the southside of Chicago. She resided at that spot for decades without trouble. Yet, it took just one day to change all of that. One morning, she was out watering her flowers. A large dog came out of nowhere and attacked her. The large animal knocked her down and mailed her. Nobody saw the attack. It was only due distraction that the dog moved on. She was left alone and in pain. It took some time until a passerby found her. He helped her up. He also called an ambulance. Once that arrived, they took her to the ER. Doctors operated on her a number of times. She suffered scars, broken bones, and other injuries. They advised her to stay in recovery for many weeks. Once she got better, she considered legal action. It was hard to find the dog’s owner. It didn’t have a collar. Also, at the time of the attack, the owner wasn’t present. Thanks to some good investigating by her lawyer, they found out who it was. They brought suit against that person. She alleged he was negligent in his control of the animal. She sought compensation for her medical bills, disfigurement, pain, and lost sense of normal life. The defendant at first blamed the event on the wild nature of the dog. Yet, once his mistakes added up and were shown, he changed his tune. She got the amount listed for her injuries. They settled several months into discovery. This case popped up fast. It shows you why dog attacks are common. It also shows you why they’re so serious. Dogs are literally everywhere. It can take just one thing to set them off. If that happens, you might be in some real trouble. The person that ran into trouble here was just a kid. He was biking along a construction zone one day. There were fences guarding the area. A dog appeared in front of him as he kept riding. When he tried to pass it, the dog knocked him down. Thankfully, one of the workers saw this. The man calmed the dog. This prevented further injury. Yet, the boy was still badly hurt. He broke a few bones and needed other treatments. With the help of his parents, he sued the construction company. The dog was actually a security dog for the business. The family alleged it didn’t properly watch its animal. Plus, it allowed the dog to roam off the property. They sought relief for the kid’s pain and bills. There wasn’t any real disfigurement or disability at issue. The defendant offered a summary reply. It denied all charges. Yet, settlement was not long off. This might be due to a decision it made to avoid the costs and time of trial. This dispute was settled in Adams County, Illinois. It happened in the town of Quincy. A man named Daniel was out on his lawn. He was 54 when the dog attack occurred. The animal came onto his yard and jumped him. He was badly hurt. The injuries mostly centered on his left leg. He went to the hospital for care. They treated his wounds. The bites produced complications like infections. Also, he had scarring along the lower portion of the leg. This would later turn into a disfigurement. He sued the dog’s owner. The owner said Daniel goaged the dog into attacking him. This is a very common defense. It’s very easy to throw out there. It’s hard to deny without a master grip of the facts. That’s exactly what Daniel had. He was able to dismiss this contention. Once he did, the case was his. In fact, it never even got to filing. The two sides settled in a private manner for $180,000. This was later lowered to $160,000 by a lien. A kennel worker brought this suit in Winnebago County, Illinois. She was just 35 at the time and pregnant. While at work, she had to walk a large dog. She put it on a leash and began the trip. Suddenly, it knocked her down and began attacking her. It bit her all over her body. She suffered bite marks, broken bones, and scrapes. Many of them required surgery. Some of her wounds even became infected and required further treatment. Doctors put her on a whole of care including medications. She suffered a reaction to a few of them. While her baby was okay, the woman still suffered PTSD from the ordeal. She worried that the event would leave the child with a defect. In fact, the woman sustained a disfigurement. She added that to her list of her injuries when she sued the dog’s owner. During the case, it came out that he didn’t disclose other past attacks the dog had made. This made the case an uphill fight for him. He moved to settle. The woman recovered a little more than $300,000. That’s a lot but she had about $100,000 in medical bills. That didn’t leave much for her disfigurement, pain, PTSD, and related harms. This incident occurred at a boarding house for dogs. The victim was there to pick up his own dog. While waiting, he saw another dog. He bent down to pet it but it bit his wrist. The wound was so bad it needed surgery. Then, the man suffered nerve damage due to the bite. Apparently, the dog that attacked him had issues with aggressiveness. The man sued the dog’s owner. The case fell under Illinois’ Animal Control Act. That meant it was tried under strict liability instead of negligence. This fact advantaged the plaintiff. It advantaged him because it wasn’t about reasonableness or not. That’s the test for negligence. For strict liability, it’s just about if the dog bit you and if you provoked it. These answers were agreeable to the plaintiff. The defendant didn’t have a plausible defense. As such, settlement loomed in the distance. The man recovered $117,500. $92,500 of that came from an insurance company. The rest came from the defendant. The amount covered his medical bills (which were almost $20,000). They also applied to his pain and disfigurement. This case was brought under the Illinois Animal Control Act. Three little dogs attacked an older woman in 2011. She was 60 when the attack occurred. The dogs were terriers. The incident occurred in Plano, Illinois. The dogs’ owner was out of town at the time. They were supposed to be watched by family. Yet, those family members left the door open. That allowed the dogs to escape and attack. The woman suffered bites to her ankles. She claimed this caused scarring and nerve damage. The defendant argued she was exaggerating her injuries. The defendant thought she was fine in a matter of months after the event. Plus, she didn’t consistently see a doctor. Thus, she was to blame for the complications in his view. The two sides couldn’t find room to settle so they went to court. The jury handed down a verdict for the plaintiff. She got $62,333. Here’s a breakdown of that amount. $7,500 for loss of life normalcy. 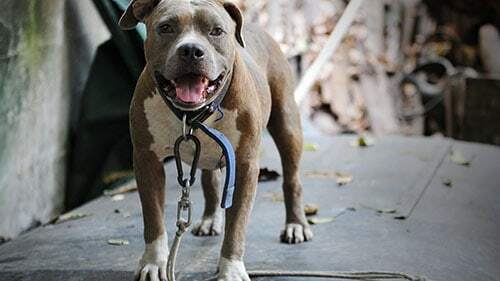 Rosenfeld Injury Lawyers LLC has successfully worked with victims of dog bites and attacks in Illinois. We have helped them recover the compensate that they need to move on from the incident with their dignity. This can be difficult with obstinate defendants but our team is capable, experienced, and passionate about defeating their efforts. We will fight for you too. We can give you an initial consultation for free and work on contingency so that you don't have to shoulder the burden of the case. Contact the offices of Rosenfeld Injury Lawyers LLC today to hear more about we can help you.